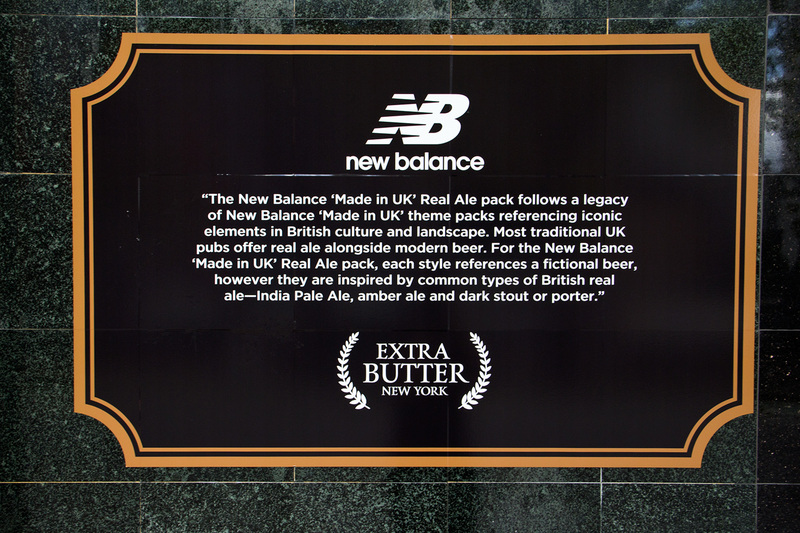 Over the last few months, we have focussed a lot on the Made in UK New Balance “Real Ale” Pack which dropped recently, and it’s really great to see this pack getting a lot of love oversees in the US, so we couldn’t ignore this excellent pop-up shop by Extra Butter. 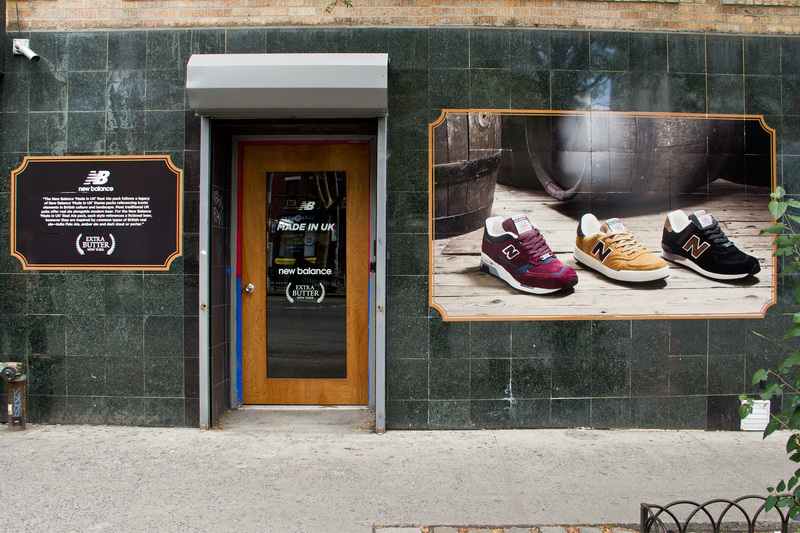 The New York heavyweights Extra Butter fully embraced the Made in UK theme packs, which regularly reference iconic elements in British culture and landscape, like the “Real Ale” Pack, and they partnered up with New Balance to create an incredible English ale house inspired pop-up shop at their Lower East Side location. 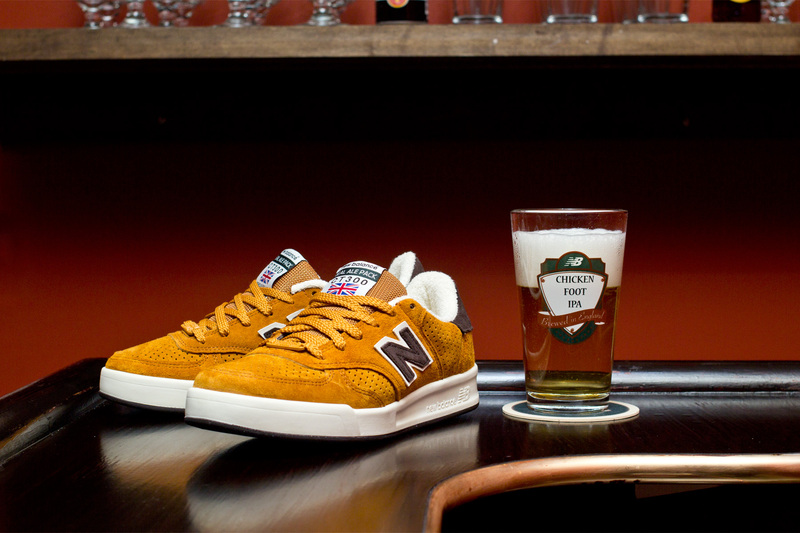 We’d have seriously loved to have been able to check this out! 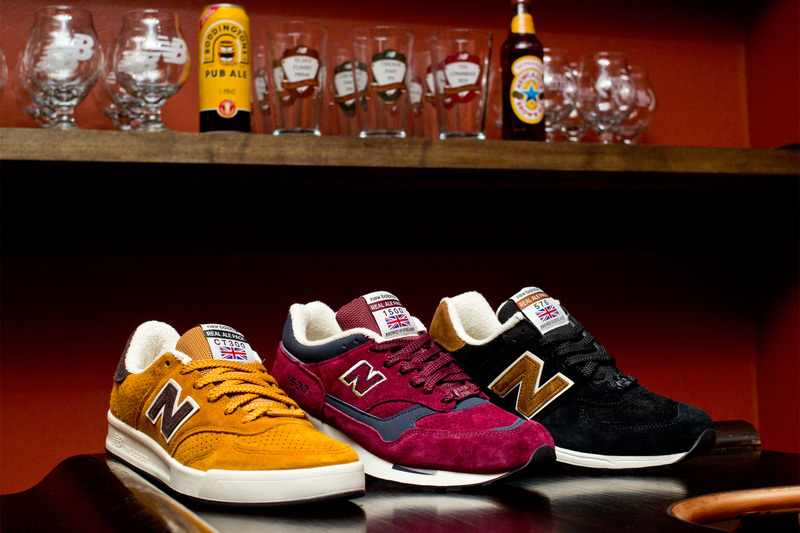 In case you missed it, full details of the “Real Ale” Pack can be found here. 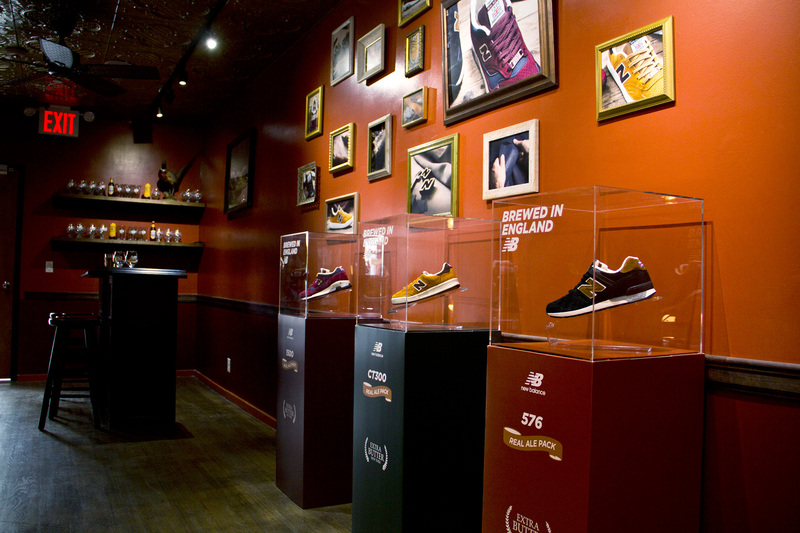 The interior of the pop-up shop featured deep warm colours, dark wooden furniture and accents, as well as tin ceiling tiles which vividly transport you to a traditional pub in the countryside. 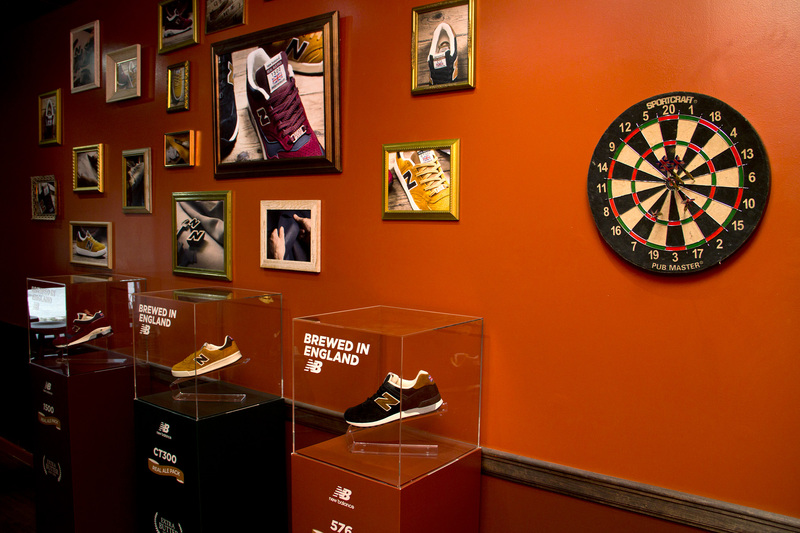 They also kitted the pop-up shop out with a jukebox, a TV showing an English Premier League match, and a dart board – all things you’d inevitably find in a British pub. 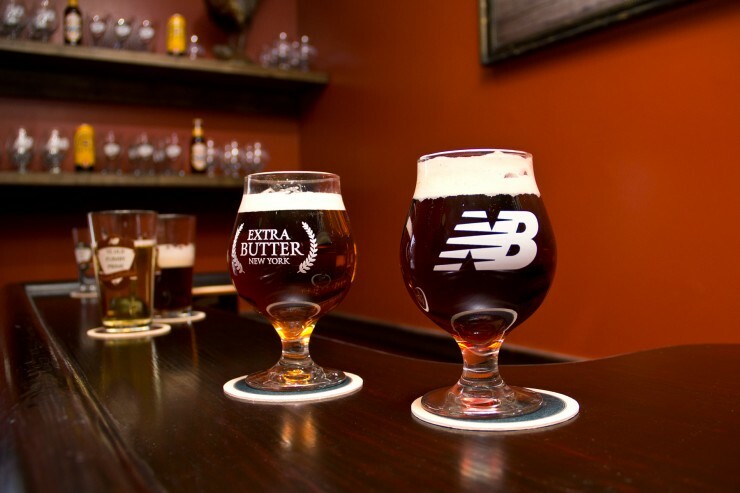 As an added bonus, every purchase of any of the “Real Ale” pack came with a complimentary custom-branded bar glass. Excellent stuff. 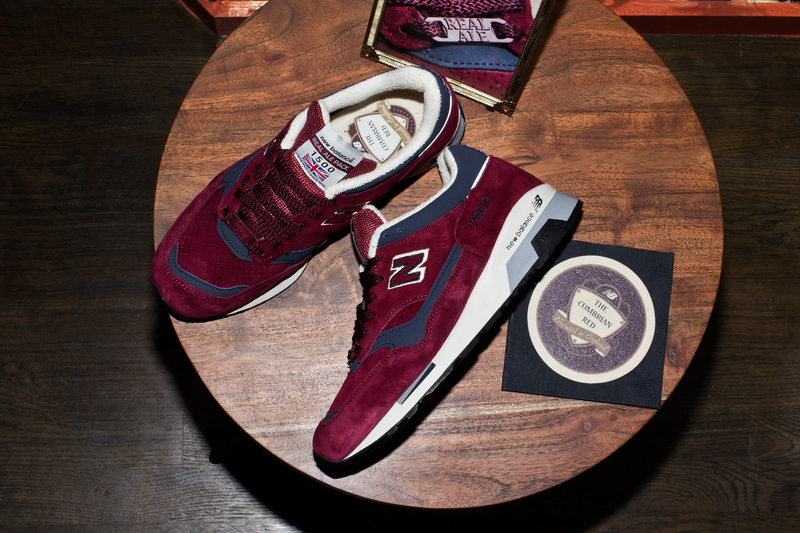 Check out some of the images below, and head over to Extra Butter’s blog to check out more.